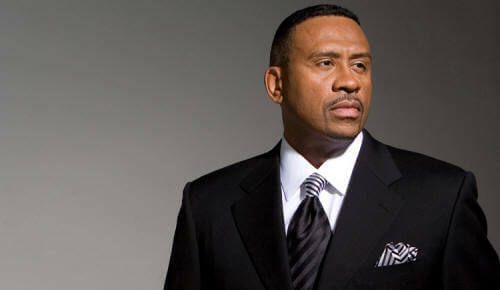 The contest dubbed “Washington’s Next Big Voice” has been going on since March when syndicated personality Michael Baisden was not able to reach a contract with Cumulus Media. 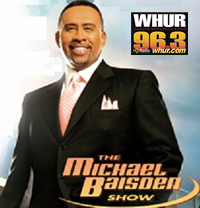 Not only did the Baisden show disappear from the airwaves of WHUR, it closed shop across the country. While some stations chose to syndicate Baisden's replacement Skip Murphy, WHUR decided to let listeners choose who the next afternoon host should be. According to the WHUR website listeners now have a last chance to vote for their favorite personality for the Monday – Friday from 3 pm to 7pm slot this week. Before we give you a list of the personalities who have a legitimate shot at the contest, we were disappointed in the fact that Donnie Simpson was not given a chance to be “Washington’s Next Big Voice.” Donnie of course is Washington's BIG VOICE no doubt. But Mr. Simpson comes with a hefty price tag (at least mid six figures) and with Howard University, owner of WHUR, having financial difficulties, maybe he was not even considered, despite the fact of the revenue he could bring into the station. Also Tony Richards, who hosted The Real DC Morning Show prior to the Steve Harvey Morning Show wasn't a participant in the contest either. Richards hosts Saturday afternoons and weekday morning segments on the Steve Harvey Show. As of this posting, the leading vote getters were Kesha Monk (veteran New York, Los Angeles, and Chicago DJ), Olivia Fox (formerly of WKYS, Majic 102.3), Chase Daniels (Sirius XM), Frank Ski (V-103 Atlanta), and Leigh Hamilton (Sirius XM). WHUR Weekend personalities Marc Clarke, Troy Johnson, Nikki Strong, (all host Saturday evening The Hang Suite) and Michel Wright (host Saturday afternoons and long time midday personality at WPGC and WKYS) are also part of the contest. Frank Ski who is getting a lot of votes still has ties to the Atlanta area and "if elected to go to Washington, may not be able to serve." Leigh Hamilton did not post a video. Below are the [videos] from some of the other personalities. Check out the other contestants not mentioned here at the WHUR website. Good luck to all of them. As you can see there are many talented personalities in the adult contemporary radio format. Cast your vote at WHUR.com.